Part I - Tourism Local Systems: An Applied Economics Approach. 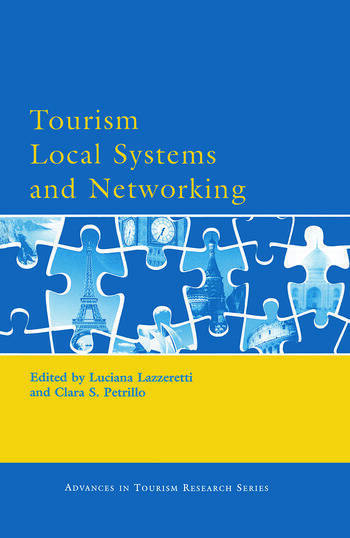 Systemic Approaches for the Analysis of Tourism Destination: Towards the Tourist Local Systems. (F. Capone). Identification and Analysis of Tourist Local Systems: An Application to Italy (1996-2001). (L. Lazzeretti, F. Capone). A Framework to Identify a Localised Tourism System. (G. Maulet). The Destination as a Local System of Innovation: The Role of Relational Networks. (J. Guia, L. Prats, J. Comas). Do Clusters and Networks Make Small Places Beautiful? The Case of Caramulo (Portugal). (Z. Breda, R. Costa, C. Costa). Destination Governance and Contemporary Development Models. (B. Svensson, S. Nordin, A. Flagestad). Tourism Industrial Development and Multinational Corporations: A Case of Productivity Spillovers in Malaysia. (Kong-Yew Wong, T. Baum). Part II - Tourism Local Systems: a Managerial Sciences Approach. Tourism System Dynamics: A Multi-Level Destination Approach. (E. Bonetti, C.S. Petrillo, M. Simoni). Integrated Quality Management as Part of the Strategic Management of Tourism Destinations: a Systems Perspective. (F.M. Dionísio Serra). The Use of Relationship Marketing in Developing Network and Co-operative Links within Tourism Product Marketing Groups (PMG's). (C. Gorman). Information and Communication Technologies Supporting Destination Management: A Multimedia Application. (A. Morvillo, M.I. Simeon, I. Vellecco). Regional Tourism Co-operation in Progress. (T. Soisalon-Soininen, K. Lindroth). Destination Competitiveness and the Role of Destination Management Organization (DMO). An Italian Experience. (A. Minguzzi). The Geographies of Tourism. Organising the Space Between Localisms and Global Networks. (G. Cusimano, M. Giannone). An International Project to Develop Networking for Promoting a Specific Destination: Emigration as a Tool to Enhance Tourism in Cilento Area. (P. Di Martino, C.S. Petrillo).